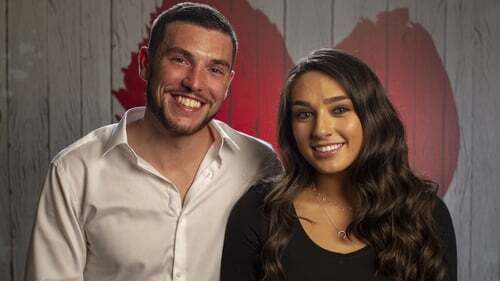 First Dates Ireland's Olivia has revealed that she felt chemistry on her date with Aran on the show, while Aran used the word "wow" to describe his first impression of her. Speaking ahead of their appearance on Thursday night's episode of First Dates Ireland on RTÉ 2 at 9.30pm, the couple spoke about why the decided to take part, what their first impressions were, and if they hit it off right away. Olivia, who was born and raised in Las Vegas before moving to Ireland at the age of 14, said she wanted go on First Dates to take her "out of my comfort zone". "I very much so have lived within in the boundaries of my comfort zone, the things I feel confident in I do well and the things that I don't feel confident in I avoid at all costs, and dating was one of those things. I think I wanted to do something to push myself and just have fun", she said. 24-year-old Dubliner Aran thought it would be "great fun", adding: "I quite like meeting new people and doing things that seem a little bit scary and exciting." He was quietly effusive about his first impressions of Olivia. "It can be a little bit difficult because you have so many thoughts as you're walking up and you're trying to figure out so many things, you genuinely have no idea when you walk in, Mateo is guiding you through, and then you get there and you go 'wow'", he said. "You said wow? ", Olivia laughed, before saying that she felt "truthfully calm" when she sat down opposite him. "I felt calmed when I saw him. I was very nervous, you have so many things going through your head 'what are they going to be like, what are they going to look like, what are they going to think of me' so when I first saw him I felt relaxed. Seeing him took away a lot of fear of what was going to happen", she said. "I thought he was gorgeous too!" Aran thinks part of the reason they gelled well was their "quite similar senses of humour". "My friends would say my jokes are terrible, but I make them for me and not for anyone else, and I think Olivia understood that a little bit and she didn't shoot me down for terrible inspirational quotes and the amount of cheese I was putting on! ", he joked. Aran thinks he gelled well with Olivia due to their "quite similar senses of humour"
Olivia added: "I'd say I felt chemistry. Going back to being relaxed, when I'm relaxed it means that I feel that I'm vibing with somebody. I felt relaxed, I felt calm and I was enjoying myself. None of it felt overwhelming once we sat down. I was just there on a date and it was just happening to be filmed!" And are they glad to have taken part in the show? Aaron said: "I'm definitely glad I went on First Dates Ireland, it was a fantastic experience from start to finish, the learning you do about yourself and what you want out of your dating life is really interesting so I'd recommend it to anyone." Olivia agreed with his conclusion. "I thoroughly enjoyed it, it was one of the best experiences ever from start to finish. It was one of the most genuine processes, I had a ball of a time." Watch their date on First Dates Ireland when it airs on RTÉ 2 at 9.30pm.